Food of the GODZ features free cooking recipes, cooking contests cooking tips and more! As always, we are looking for new recipes to try! 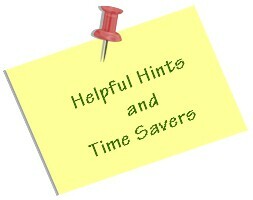 Feel free to send in your suggestions, recipes or helpful tips. 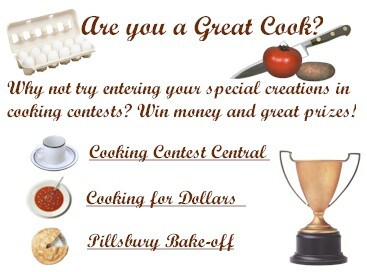 We also would like any help finding other recipe contests out there, or any other great cooking links! Looking for low fat recipes? We are trying to find no/low fat recipes for you! Most websites give you a recipe or two, then ask that you buy a cookbook for more recipes. We are trying to gather a large assortment, that are yours to try for free! Please send in your favorite low fat recipe! Are you a Seinfeld fan? Remember the "Soup Nazi"? Top Secret Recipes has a clone recipe of the famous "Crab Bisque"! This contest information was just sent to me from Reader's Digest! Do you have a delicious cookie recipe you've created? If so, you could be a winner of our first annual Christmas Cookie Contest! Enter your recipe today�the contest ends November 7, 2000. The holidays are coming up quickly again, and there are still people who are hungry, and homeless, and are in need of help. If you would like to help, Second Harvest -Food Bank locator will help you locate a food bank near you. Any contribution would be greatly appreciated. We are searching for your favorite low fat recipes! Send in your favorite! Mix and spread in 9x12 inch pan. Bake @ 350 degrees for 15 - 20 minutes. Beat together cream cheese with 1/2 c powdered sugar. Add 1/2 of the cool whip. Spread on top of crust. Mix pudding and milk. Beat for 1 minute. Pour on top of the cheese layer. Chill for 1/2 hour. Spread the rest of cool whip on top. Let chill. We are adding new recipes often! Please check back often or send in your favorite. We'd love to try it!